PHILSTAR | Chicago Street Style! A few weeks ago, I finally got my DTSS eliminators installed. Thanks to Yuta for letting me borrow his impact and Neil for pressing them into the knuckles. 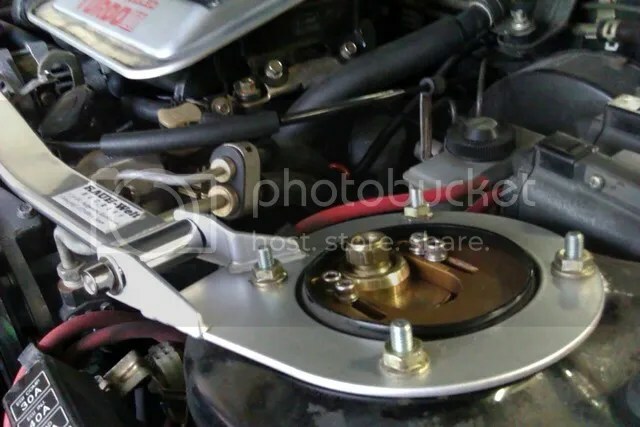 Also painted my strut bar ends and threw those on. It was a rainy weekend so perfect opportunity to test out how the car felt with the DTSS’s on. I did absolutely terrible! 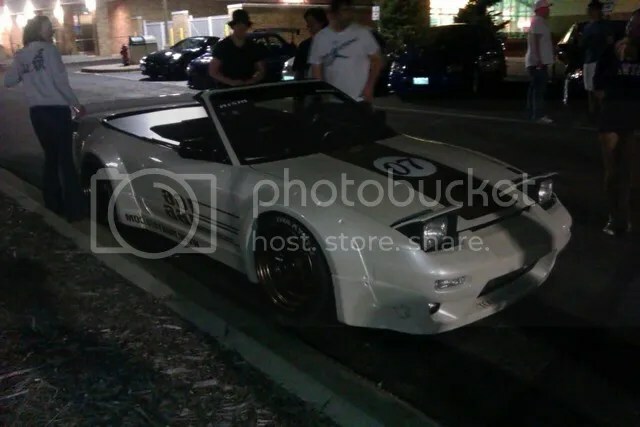 I know everyone says the FC is a twitchy car but it felt way twitchier even compared to my Miata. 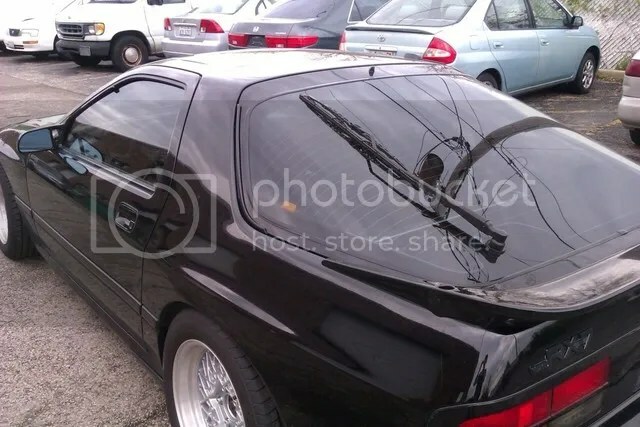 I can see why now a lot of FC drifters run no rear sway (and no sways at all if they have knuckles). 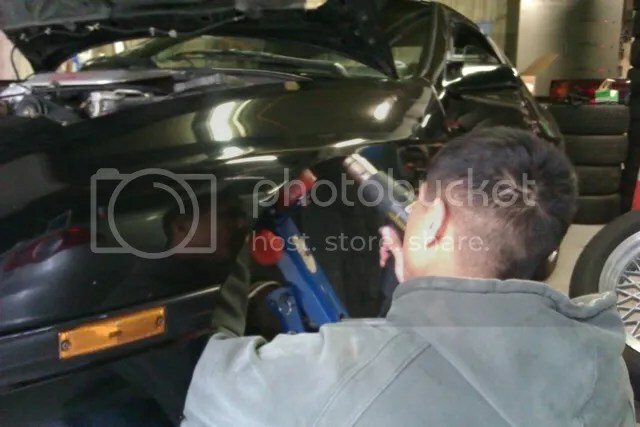 Also I confirmed the stock LSD is pretty worn out and I couldn’t get the e-brake to lock. My PS belt also decided to snap. When the PS belt snapped, it wrapped around the fan and somehow ripped out my AFM plug and ruining the plug. 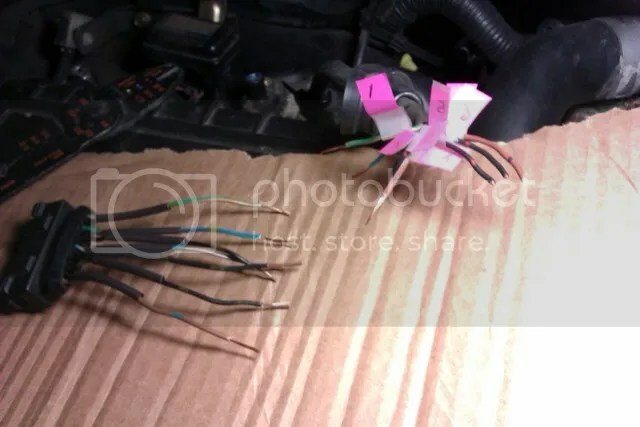 I lucked out and found someone who had one from previous standalone setups and since I didnt have anything to de-pin the connector with, I just cut and soldered on the new plug and car was good to go again! Also got the rear and side windows tinted 35% at Umbra. 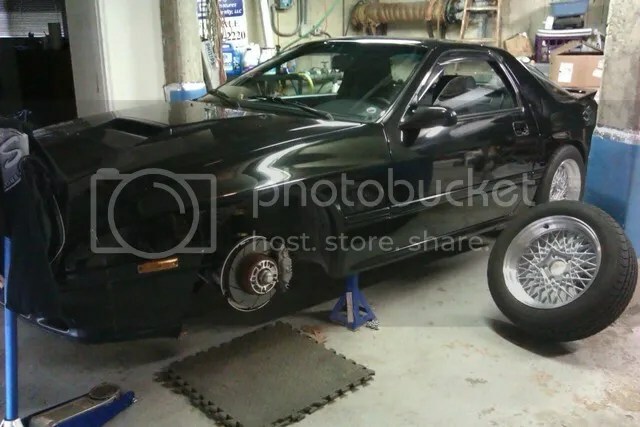 Anyways, I think I have a better idea of things I need to get now and after talking with several other FC drift specialists, I have a better idea of how to setup the car. Some more goodies came in for the FC. Got my real HKB BOSS hub to replace the Ebay BOSS hub, way way nicer and feels way better. 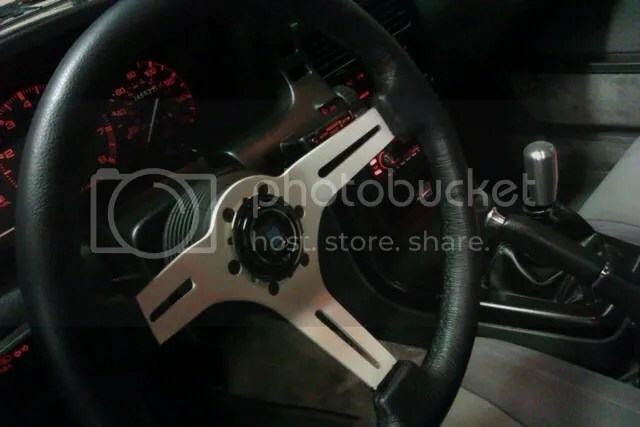 Threw that on my car with the Nardi horn button that I picked up. Also got my Super Now Super Cutting Tie Rods. 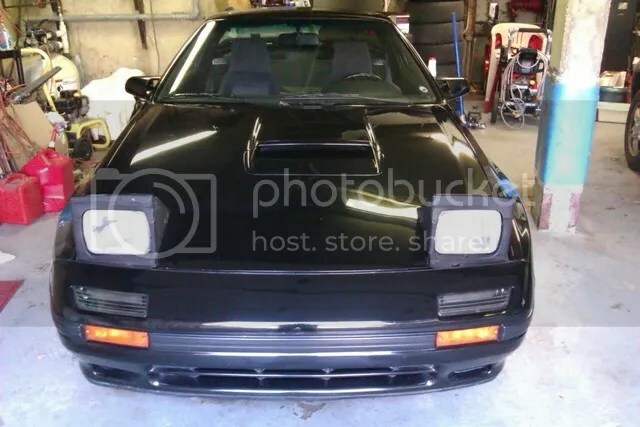 FC’s do not get much steering angle stock so this will be a nice addition. 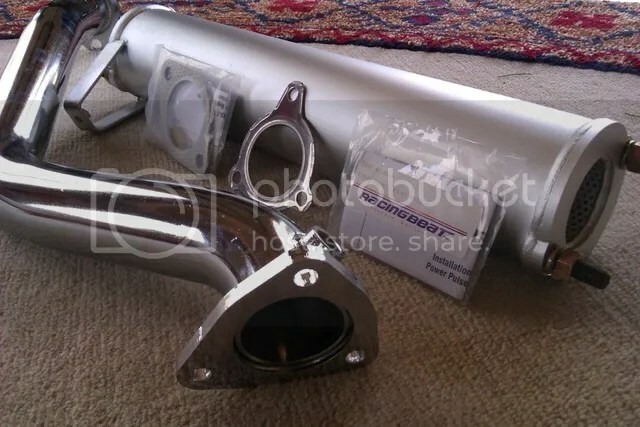 Also got a RacingBeat downpipe and pre-silencer and OEM Mazda turbo gasket. I mainly got this so I can get rid of the precat and cat, not to mention it will be a nice little power boost. 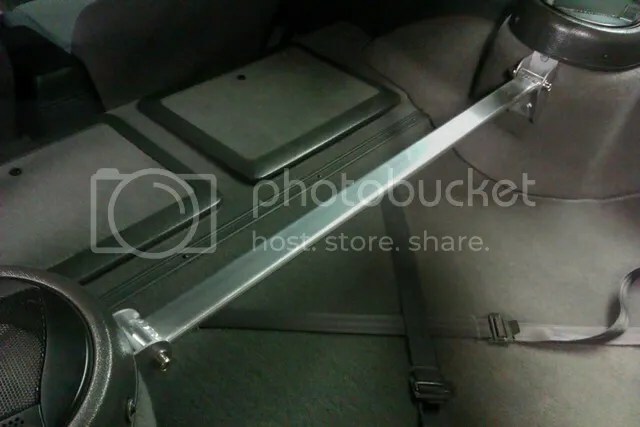 I opted to get 2.5″ over a full 3″, and I got the pre-silencer to keep the car relatively quiet, perfect for streeting =). Although there are quite a few people trying to get me to make it loud already! 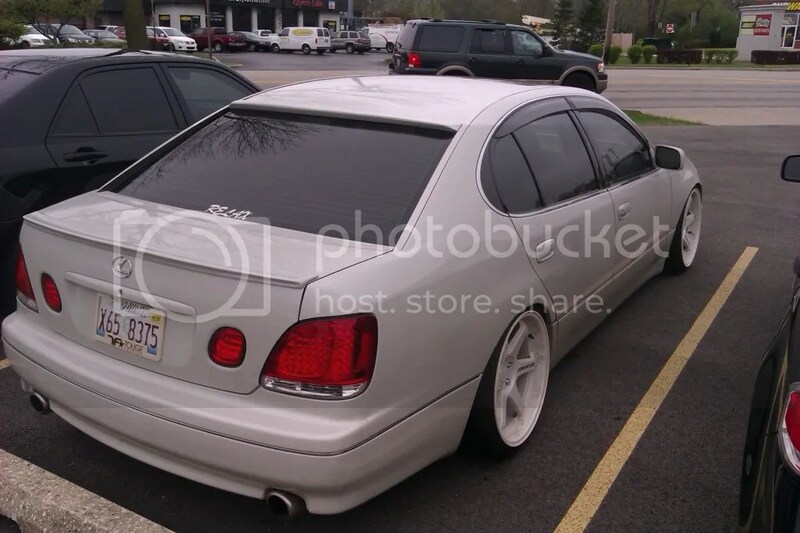 Also got some 205/55’s that I had on my other wheels mounted on the Crown Vic mesh wheels that I got thanks to Yuta. A little balloon-ish but I like it. 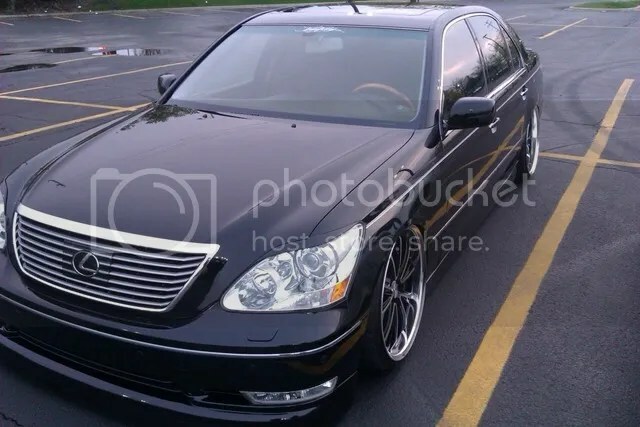 I lowered the car slightly, I may go just a tad bit lower but overall I like the ride height. 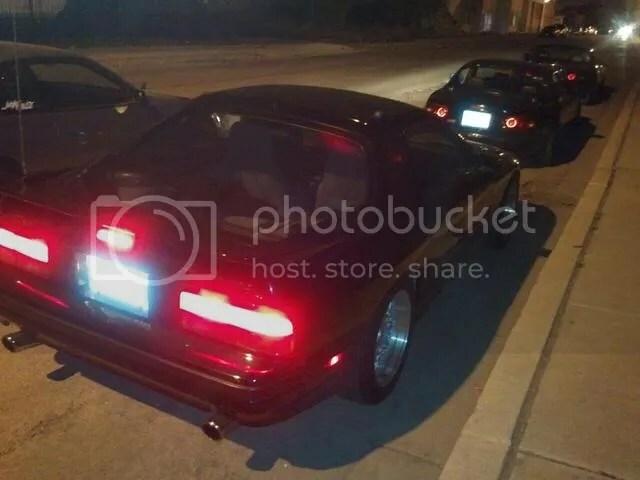 Very streetable plus getting my car in and out of the garage is super easy especially compared to the Miata and I can still get a jack under it no problem. Threw on some new hardware for my camber plates and maxed them out and Gabe swung by with his 350whp v-mounted FC to roll my front fenders. 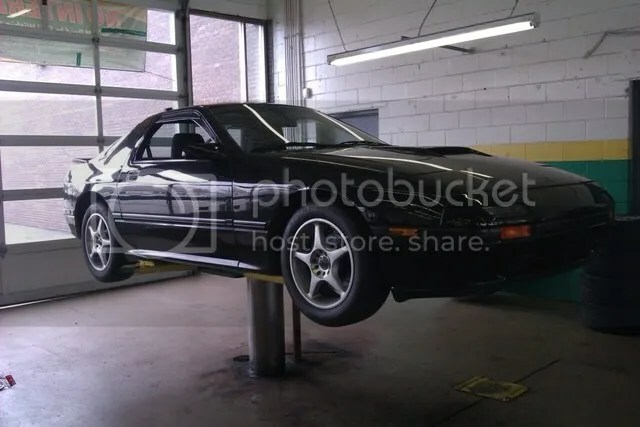 I forgot how rediculous his car sounds when the wastegate opens! 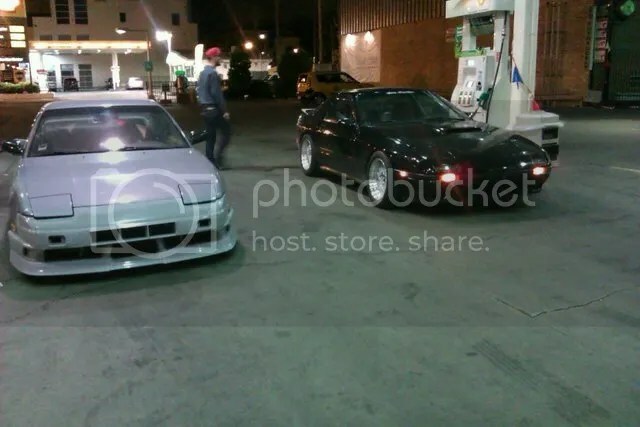 We met up with Fred (fellow FC driver) who came in his daily Lexus which just got treated with a new lip kit and exhaust. Pictures do not do this car justice. 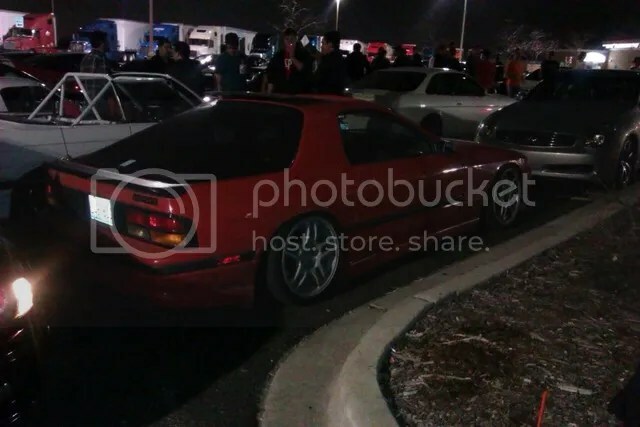 You just dont see cars done like this in Chicago! 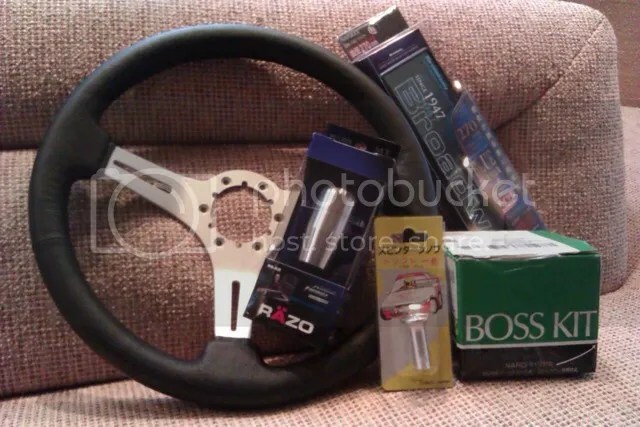 Some little interior ricer goodies, Razo knob, Cusco spin turn knob, Broadway mirror, GripRoyal steering wheel, and an Ebay BOSS hub. 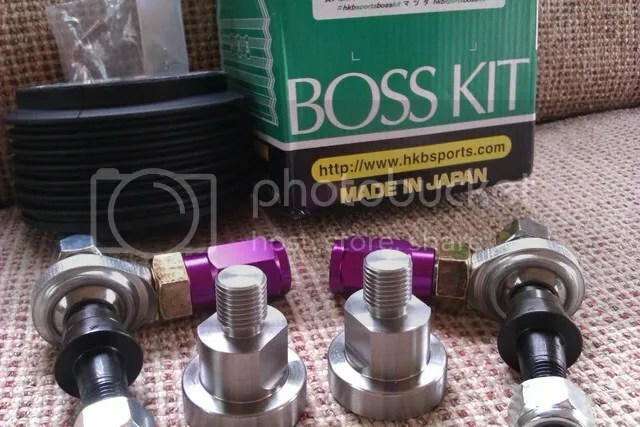 I generally have good luck with these Ebay BOSS hubs but this one just absolutely sucked so I just ordered up a real Japan HKB BOSS hub which should be on the way soon. 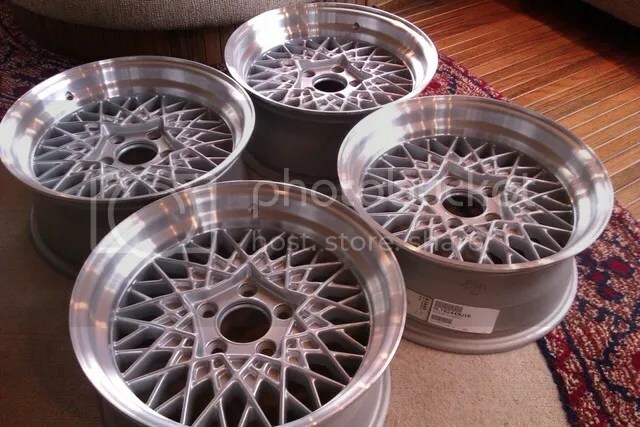 16″ mesh wheels that I will be using for now. Can anyone guess what they are? 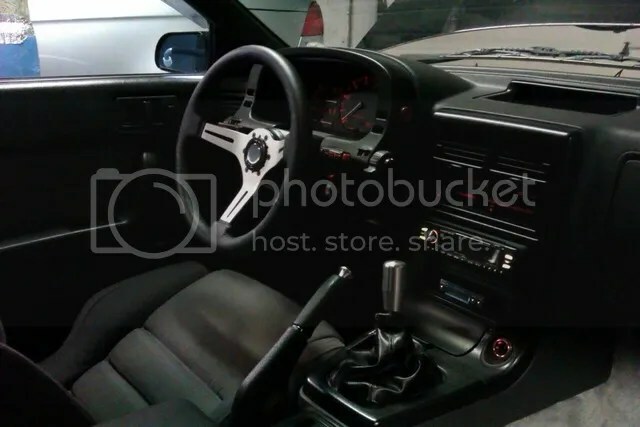 I think it will give my car that classic SIMPLE early 90’s drift style that I am going for. 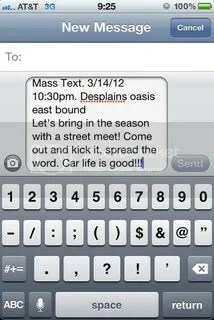 Last night was the first mass text of the season since the weather has been crazy beautiful lately here in Chicago. 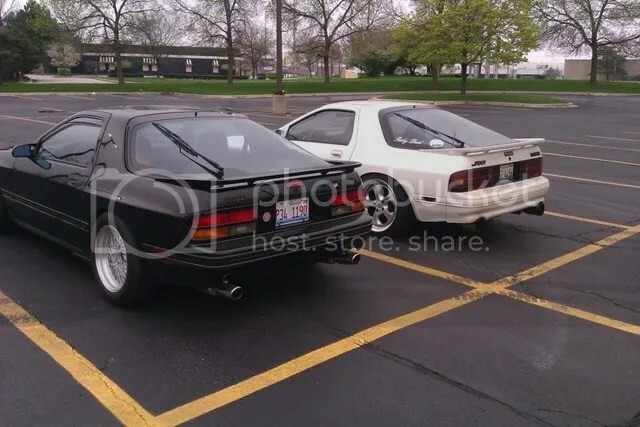 I finally registered and got my plates yesterday too so it felt great to finally drive the FC around. I am still getting used to all this creature comforts like AC, radio, full interior, quietness, and non-slammness. I have to say, I really enjoy it. Anyways, Here are a few pics from my phone from last night, didn’t really take many but enjoy! 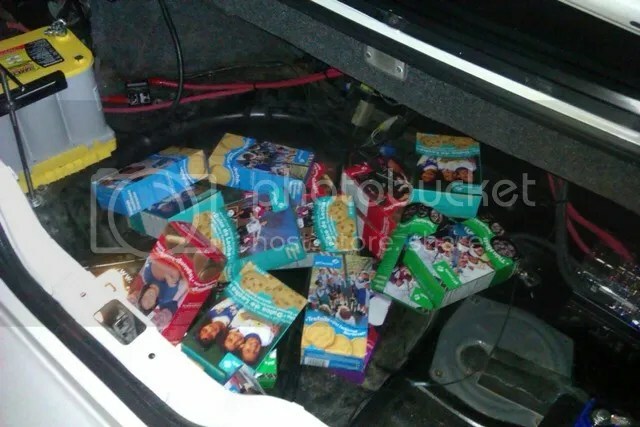 Can never go wrong with some Girl Scout cookies right? 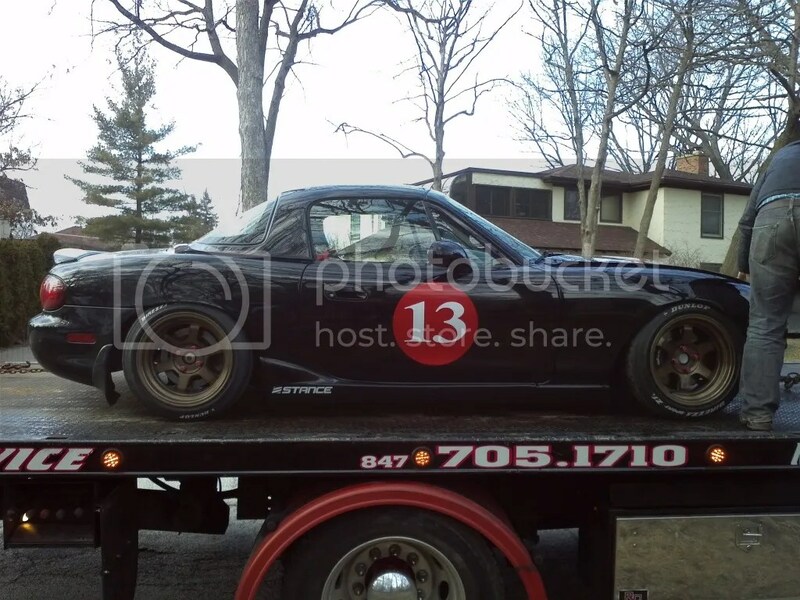 Well it didn’t take me too long to find a replacement for the Miata. 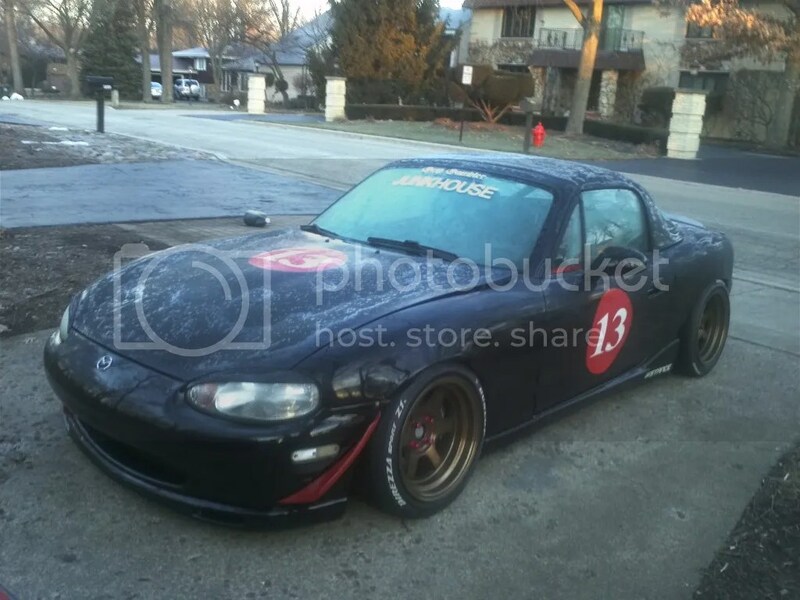 In my head I was juggling several ideas and in the end it came down to either finding an AP1 since I was having an urge for more track time, waiting for the release of the FR-S since it seems like it would make a great drift and daily car, or this one specific FC. Very different price ranges and what ever I chose would dictate the kind of driving I plan on doing well into the future. I chose the FC. My brain told me one way, my heart told me FC. 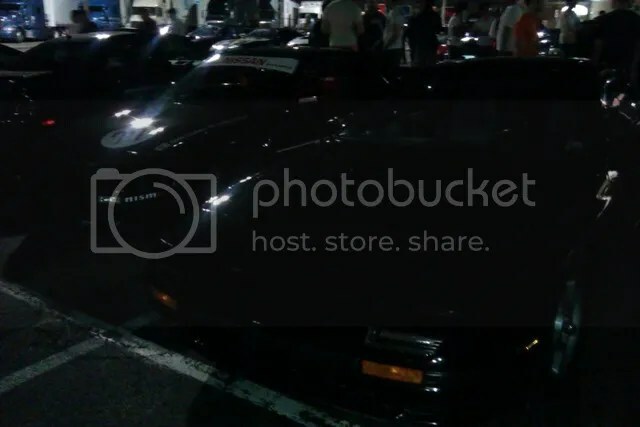 The way I feel when I see a properly built RX7 rolling past into the dark of night just gives me this feeling that an AP1 or FR-S could never give. Its an aura that I cant explain. A little bit of history behind this particular car. 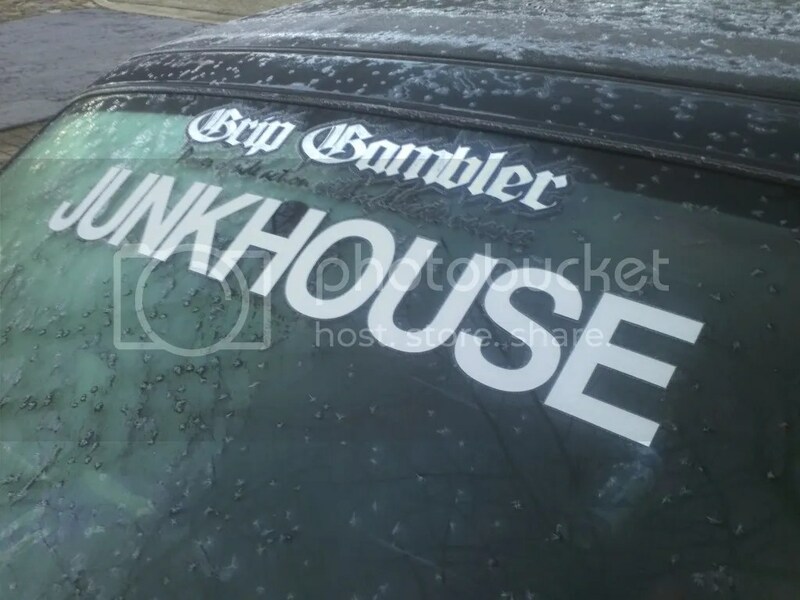 This car was Robs dad’s FC. 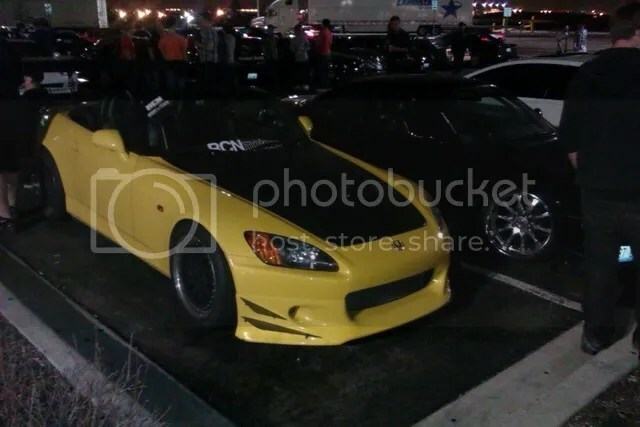 The same Rob I bought my Miata from. 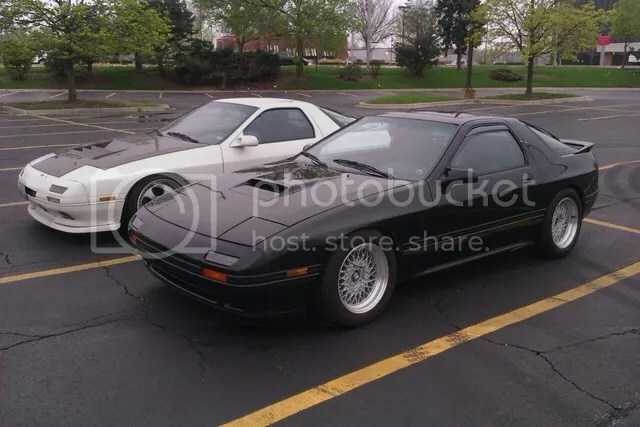 Back then, I originally had contacted Rob about buying the FC, and after a somewhat jokingly comment of him saying why dont you buy my Miata, that turned into me buying the Miata instead of this FC. 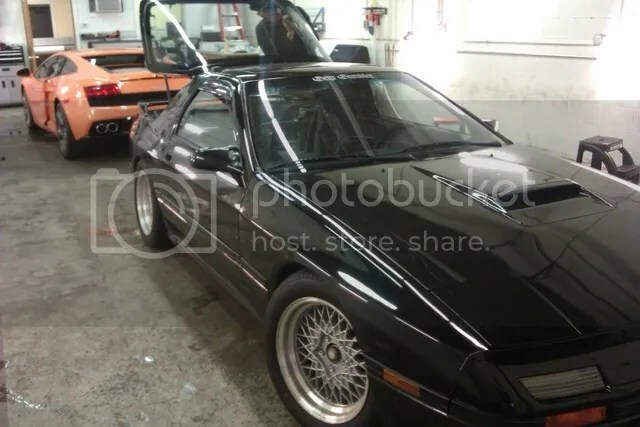 This RX7 is a 1988 S4 TII, Black, and the best part, only 46,000 miles! 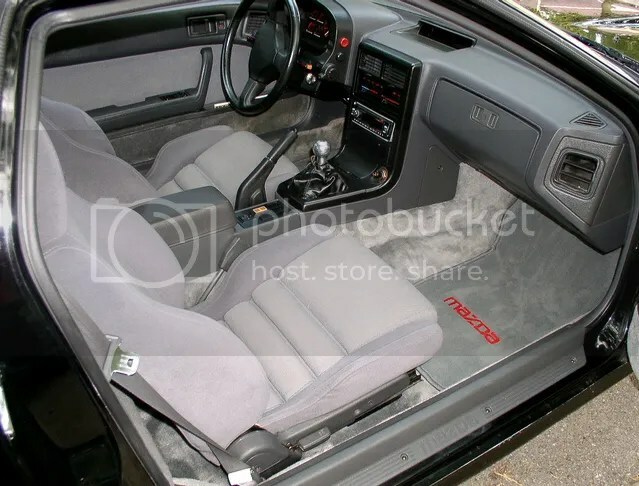 The car is immaculate inside and out and practically show room clean! 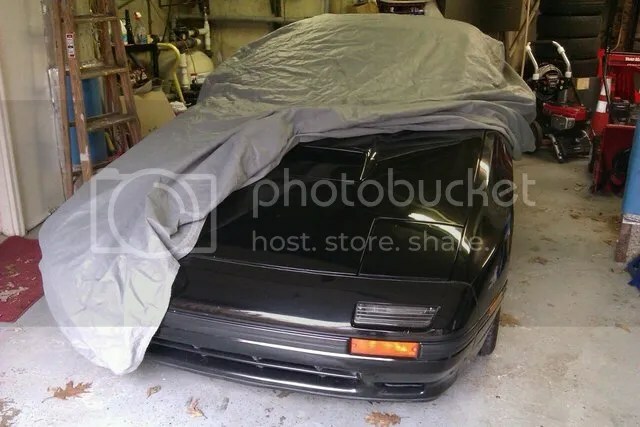 I almost feel bad knowing that I will be turning it into a drift car when I feel like it should be sitting in a museum or something. This decision to purchase the FC felt almost impulsive on my end, but after driving it home today, I know I made the right choice. 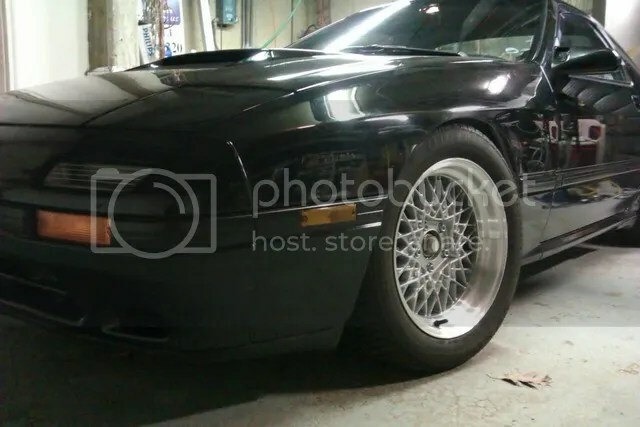 FC’s are by far my favorite late 80’s sports car. The body lines just simply cannot be beat! 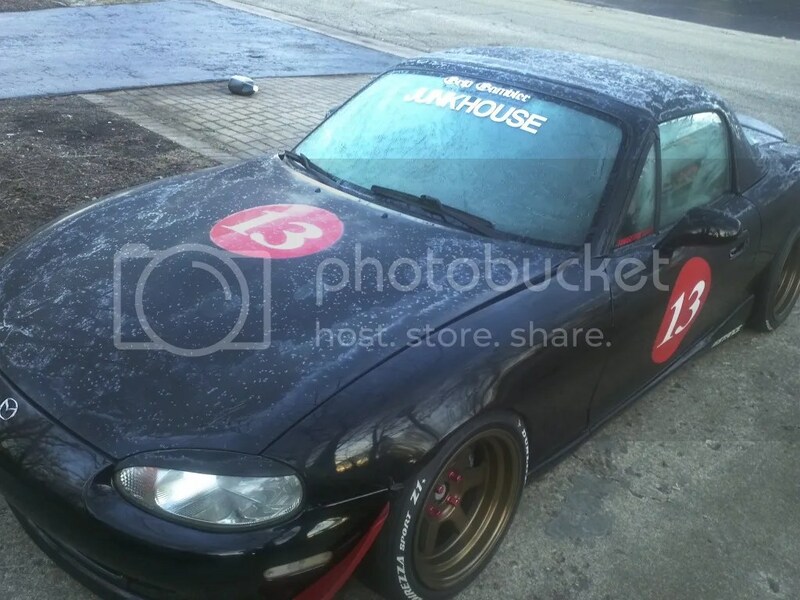 It is 100% bone stock minus RacingBeat exhaust and STANCE coilovers. 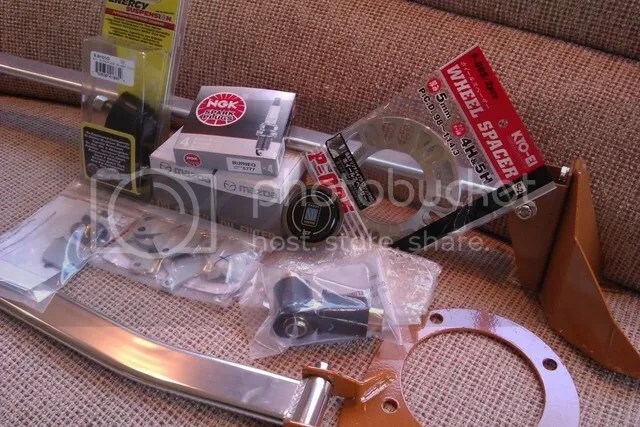 It also came with some other goodies like a turbo timer, Kouki tails and Kouki moldings in box, JDM window visors, a full shop manual, as well as other misc goodies. Not to mention Rob’s Dad gave me a price I couldn’t refuse. I have some long term plans and some short term plans for it but I’ll share that at a later date. Regardless, I should be out this season doing what I love to do! DRIVE! 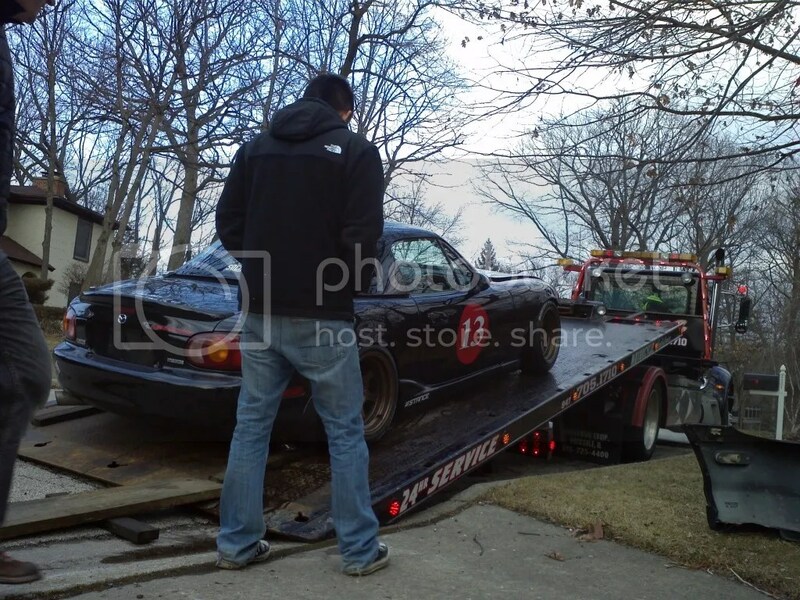 The Roadster has officially been sold.